The Atacama Large Millimeter/submillimeter Array (ALMA) in Chile has begun observing in a new range of the electromagnetic spectrum. This has been made possible thanks to new receivers installed at the telescope’s antennas, which can detect radio waves with wavelengths from 1.4 to 1.8 millimetres — a range previously untapped by ALMA. This upgrade allows astronomers to detect faint signals of water in the nearby Universe. ALMA observes radio waves from the Universe, at the low-energy end of the electromagnetic spectrum. With the newly installed Band 5 receivers, ALMA has now opened its eyes to a whole new section of this radio spectrum, creating exciting new observational possibilities. It is ALMA’s unique location, 5000 metres up on the barren Chajnantor plateau in Chile, that makes such an observation possible in the first place. As water is also present in Earth’s atmosphere, observatories in less elevated and less arid environments have much more difficulty identifying the origin of the emission coming from space. ALMA’s great sensitivity and high angular resolution mean that even faint signals of water in the local Universe can now be imaged at this wavelength. The Band 5 receiver, which was developed by the Group for Advanced Receiver Development (GARD) at Onsala Space Observatory, Chalmers University of Technology, Sweden, has already been tested at the APEX telescope in the SEPIA instrument. These observations were also vital to help select suitable targets for the first receiver tests with ALMA. The first production receivers were built and delivered to ALMA in the first half of 2015 by a consortium consisting of the Netherlands Research School for Astronomy (NOVA) and GARD in partnership with the National Radio Astronomy Observatory (NRAO), which contributed the local oscillator to the project. The receivers are now installed and being prepared for use by the community of astronomers. 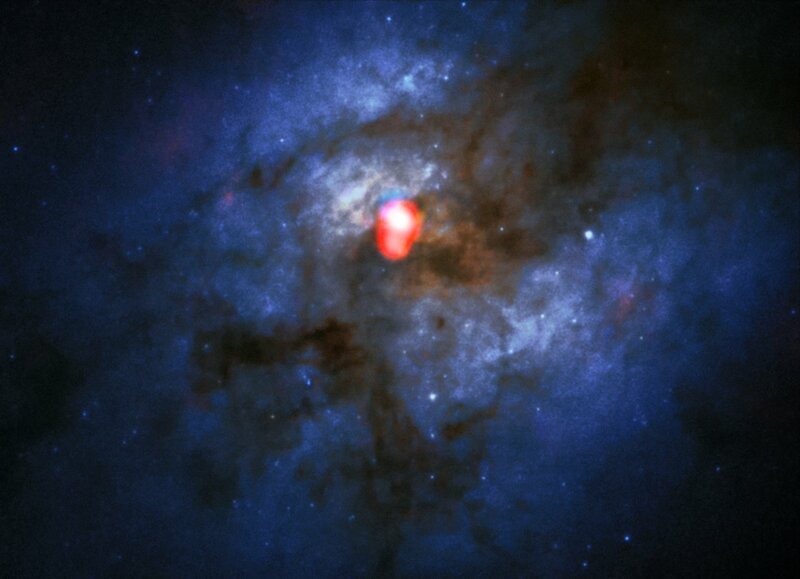 To test the newly installed receivers observations were made of several objects including the colliding galaxies Arp 220, a massive region of star formation close to the centre of the Milky Way, and also a dusty red supergiant star approaching the supernova explosion that will end its life. To process the data and check its quality, astronomers, along with technical specialists from ESO and the European ALMA Regional Centre (ARC) network, gathered at the Onsala Space Observatory in Sweden, for a "Band 5 Busy Week" hosted by the Nordic ARC node. The final results have just been made freely available to the astronomical community worldwide. Not sure if this will be posted twice but here goes.